This recipe has been featured in a how-to post on The Recipe Girl blog (with many more photos): Red Velvet Trifle…Oh My! 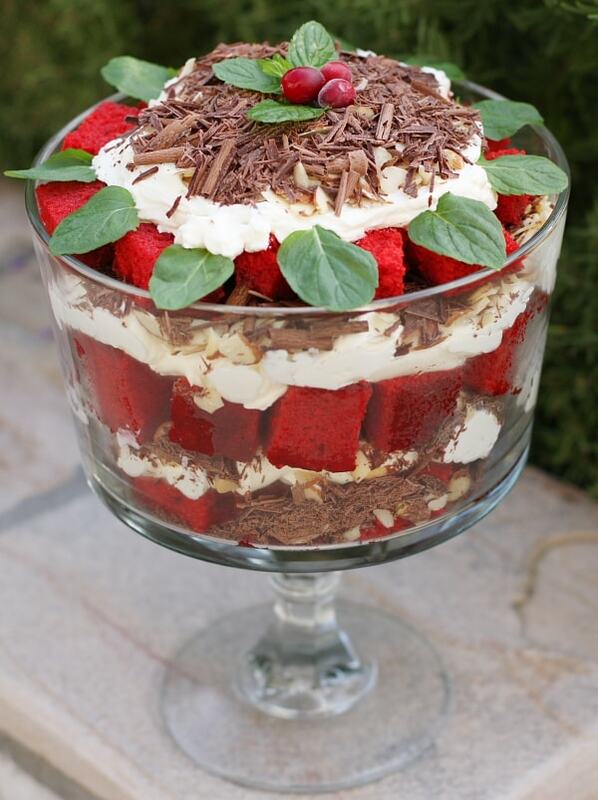 Love this festive, layered trifle as a Christmas dessert. It's impressive and pretty. Oh yeah, it's delicious too! Although the instructions involve many steps, it's pretty simple to prepare. I've included some quick and easy tips at the end of the recipe to make it even simpler, if desired. 1. Preheat oven to 350 degrees F. Spray 9x13-inch pan generously with cooking spray; then dust lightly with flour. 2. Prepare cake: With an electric mixer, blend butter and sugar in a large bowl; set aside. Sift together flour and salt; set aside. Mix the eggs, buttermilk, vanilla, baking soda and vinegar in a separate bowl. Alternate adding flour mixture and buttermilk mixture to the butter mixture. Mix well after each addition. In a small bowl, mix red food coloring and cocoa powder; add to the cake batter and mix just until combined. Pour batter into prepared pan and bake for 30 to 40 minutes, or until toothpick comes out clean. You don't really want the cake to be soft and super moist, so be sure to bake it until it tests done. 3. Prepare simple syrup: In a small saucepan, bring sugar, and water to boil over medium heat. Stir to dissolve sugar completely. Stir in vanilla. Let cool. 4. Cut the cake in half and cut one half into chunks; brush with cooled syrup. You likely won't need more than half of the cake for the trifle. Save the rest of the cake for another purpose. 5. Prepare whipped layer: In a large bowl, beat cream cheese, mascarpone and sugar on high speed until light and fluffy. Reduce speed to medium and slowly pour in whipping cream. Continue beating until mixture resembles soft whipped cream. 6. 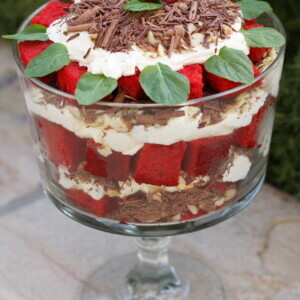 Assemble the trifle: In the bottom of your trifle dish, arrange a single layer of red velvet cake chunks. Spoon about 1 1/2 cups of the whipped topping on top of the cake cubes. Next, sprinkle almonds and then shaved chocolate. Keep repeating layers until you run out of room in your dish. Garnish with mint leaves and fresh cranberries, if desired. *If you don't wish to use mascarpone cheese, you can sub 6 ounces of cream cheese for the mascarpone (10 ounces cream cheese total). 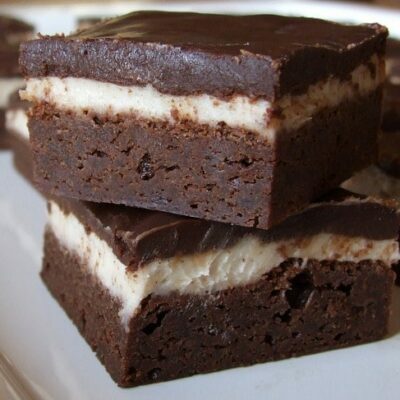 *Using low fat cream cheese is completely ok.
*I used Scharffenberger Dark Chocolate. To get it ready for shaving, place a chunk of chocolate in the microwave for about 20 seconds, then shave w/ a potato peeler to create curly little shards of chocolate. 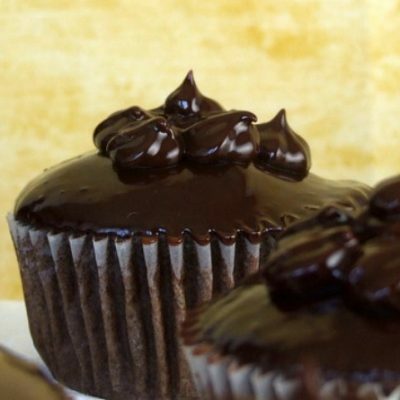 *Quick & easy tip: Use chocolate chips in place of shaved dark chocolate. *If you don't have a trifle bowl, use a glass bowl with tall sides instead. *Make ahead tip: The trifle can be prepared early in the day. Refrigerate and cover with plastic wrap. Add the garnish just before serving. This trifle is as beautiful as it is delicious! I made it for a bridal shower and it was a hit! I followed the recipe as written, but didn’t add mint leaves and cranberries. I just added strawberries to the top for a “Spring” look, instead of Christmas. Perfect- thanks for sharing how you adapted it for spring! Can you make ahead and freeze this (minus the garnishes)? Would the whipped cream mixture hold up in the freezer? I wouldn’t freeze a trifle. Hi! Can you make this the night before a lunch? I just always worry about my whipped cream not holding up. Thanks!! I would think it would be fine. Don’t add any mint leaves though until ready to serve! My son’s two favorite desserts are red velvet cake and trifle of any kind. I found your recipe when he requested a combo for his 9th birthday cake. What a hit! Absolutely delicious, and he was thrilled! Yahoo! So happy he was happy! I am having a Holiday luncheon at work tomorrow and was torn on what to make. I COMPLETELY forgot about your AWESOME Red Velvet Trifle until I saw it again a few minutes ago. 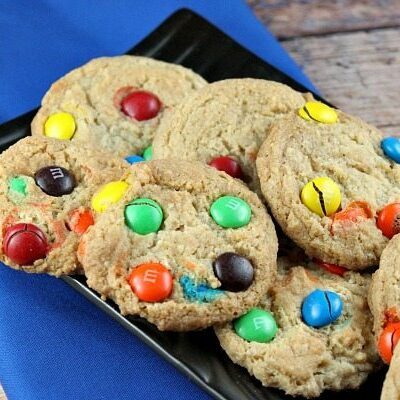 I made 3 of these last year and they were devoured and loved everywhere I took them. I will most definitely be making this for my luncheon tomorrow!!! Thank you!! Have you ever tried almond extract in place of the vanilla in your red velvet cake? 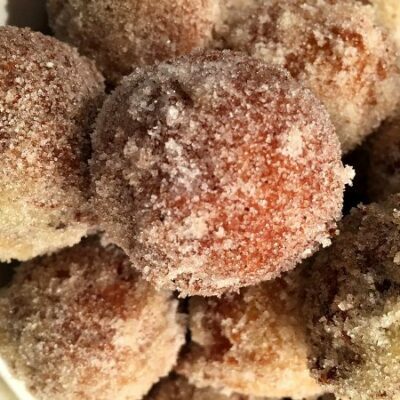 My recipe calls for almond extract, in fact it is the only difference…so I am torn! Which one should I use? @Heather Hughes, I considered using almond extract, but I like to really taste the flavor of the red velvet & I was afraid almond extract would detract from the RV flavor.